Have you trained with us? Is your business growing as you hoped? Would you like to add more to what you know? Do you want to meet with others like you and bounce ideas to support your business? Do you want to learn from others? Then you are invited to this event. Because you have trained with us; we want the absolute best for you. Find out how to Grow your Business with a 90 Days Marketing Plan. Increase your hair business in 2014 when you know the secrets to Social Media. Interact with other people in your industry to share ideas, life experiences, case studies etc – the excitement and the woes of dealing with clients. Take this chance to be among the first group to become a member of Joy Phido’s Hair Business Coaching Programme and gain over 20 years of business expertise and support to help you grow & many more. There will be a lovely lunch & drinks with Chinese buffet to eat as much as you like while we talk business. Register now as places are limited on first come first served basis. ***Dress code: Smart professional dressing preferably Black & Red or Black & White suits. Do not miss this new year networking event: It is an opportunity to set an agenda to grow your business dreams in 2014!! **Come with pen & paper. IS THE MODERN BLACK RACE AN ANTI-BUSINESS COMMUNITY? This is a topic I have always found interesting. Too many incidents have brought me to question this issue. Last week, my Vietnamese student came to start her training with us and as is customary of our training, we wanted to find out why she chose our Course and how our training could help her achieve her dreams. These questions help us understand how we can be supportive to our client’s needs and help them to succeed. We started talking and it transpired she has been experiencing very difficult times with her employees. She is Vietnamese and generally hair braiding and weaving will not be her strongest skill. She explained she had set up a hair and beauty shop in a busy location in Portsmouth – UK. She specialises in nail beauty and to keep business moving, she had employed black girls to take over the hair beauty side of her business – division of labour; outsourcing etc you would say. Great business plan you would think. Far be from it. This is where our story starts. Prior to Christmas; these Black girls had stopped work for 3 weeks – claiming their children were ill. Continuously, they have become consistently unreliable. This is why my student Thao has come to train herself to gain a skill that otherwise she would not have considered in order to take control and avoid losing her business. This then made me question why Black girls complain about unemployment or lack of business opportunities in the economy. Someone will say to me that braiding and weaving is a black people’s skill. But with behaviour like this constantly being reported by Salon owners and people from other races we at World of Braiding & Extensions encouraged everyone with an interest in these skills to come and get trained. This however does not take away the fact that braiding and weaving is a skill that comes natural and is practiced more in the black community. But why do the black community find it difficult to understand that hair beauty is a business that should be taken seriously? Research has shown that the Black community is an appearance –obsessed culture which spends 6 times more on hair beauty than any other race. It is estimated that by 2013 the ethnic hair industry will spend $4.2 trillion. www.marketresearch.com. My personal interviews with people in hair industry confirm that black women will rather look after their hair than feed themselves; take up training to invest in themselves or pay their bills. Yet the Black community is happy to let other races take up a skill that comes natural to their race while they fold their arms and wait for office jobs that do not exist or on the other hand, take up meagre or cleaning jobs instead etc. This is my personal sentiments. The Black community knowing that this is a skill they can practise easily have de-valued the skill. They choose to work on clients without training and mentally believe that it is a short time position as they wait to go to University or take up low earning jobs. Black race and African society in particular place too much emphasis on academic education while they show no respect towards vocational trainings. While I may have nothing against people’s choices, these people turn round and complain about all races for taking up their jobs or businesses. I find other races such as the Indians, British, Chinese etc races differ from the Black race as they give everyone the opportunity to choose what they are naturally gifted with. They have respect and regard for every skill based jobs. They encourage anyone who has natural affinity to work with their hands to do what they can do, help the community and create jobs for others invariably enriching their societies. This is why the African Society in particular is still struggling with the highest level of underdevelopment and unemployment among its people. We will get into the plane to these developed countries in search of a good life rather than grow our own continent or country. Fact from my 8 years of training people in natural hair business, I have noticed that Black people do not take skills’ training seriously. Thaos’ experience with her stylists is only but a minor story we have heard in our years of training Salon owners in natural hairstyles. There are instances where the stylist will chose to sit at home and the salon owner will beg her to please come and earn some money in the shop. There are instances where they will agree with you to book in a client then simply not show up for the job. There are instances where when they work freelance, they book a client and do not show up to offer the service. There are instances where salon owners get so frustrated and simply close their shop due to lack of stylist. This is also not counting when they give the clients their private numbers to come to their home instead as they will be cheaper than the shop thereby giving unprofessional service. My personal experience is that students from other races go out and succeed quicker using the same training and information given to them. Is this lack of seriousness based on family and friends influences or just a lack lustre attitude in us? Is this something we can look at and solve at some time in our life? This is my question – What is the logical reason why the black community is anti-business? Is it due to years of mental brainwashing through years of slavery to imagine that any skill not taught in the classroom is wrong? Is it through years of looking up to our neighbours who have all been to the best Universities and work in a fancy office that makes us think we should all be like them? Is it that feeling of being laughed at by your friends if they find out we do not work in an office that causes our lukewarm attitude to skills and business? This question has got me searching and re-searching. I come from an African country where there is untold stock of natural resources yet my country imports everything. We don’t think it is our duty to use our skill to create anything. We happily see everything from other countries as superior to ours. While we may conveniently blame slave trade for our problems and the continuous brainwashing from other races and bad corrupt governments etc, I know from my research about our ancestors that there existed entrepreneurship in the Black community even in the midst of slave trade – Madam C J Walker, Madam Anie Malone, Johnson & Johnson Products (which held 80% of the ethnic hair market in the 60s and was the first Black owned company to trade on the American Stock Exchange). If there are any lessons to be learnt from this great woman who was later commemorated with a stamp in 1998 by the American government is that you do not use your situation as excuses rather use it as a reason to change your life. It is time the Black man and woman help themselves and get on the ladder of entrepreneurship as was practised in the past? Be assured that you will never get rich working for anyone. You will leave your unborn generations into beggars if nothing is done about this. The time is now to start creating the best foundation for your children and to leave them as owners of businesses by the time they grow old. Get training and make your business a professional one so you can attract clients and grow. In the process of doing this, you will help your community and your race. If you have had any experience with anything written in this blog, will like to share your experiences, make your contribution or need help in any of the issues raised, we will like to hear from you. What is a business? A business also known as enterprise is an organisation that sells goods or services and sometimes both to people for a profit. I personally think you have a business when you have something that people are happy to pay you to have. Businesses are sometimes run not-for-profit. Some businesses are privately owned aimed at earning wealth for their owners. They are also sometimes owned by the State or a group of individuals or a community. Entrepreneurs take risk and most times fail, sometimes they fail more than they succeed. They don’t however lose heart over failure as they stand up and do again. Entrepreneurs take failures as just lessons on the way to greater success. People go into business most times because they have decided to do something more with their life than just continuing as a wage slave. Sole proprietorship: Business owned by one person and usually for-profit. The owner can run the business alone or can employ others to help him. 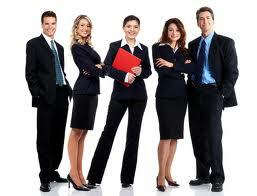 The owner has unlimited liability to debts incurred by the business. Partnership: Business owned by two or more people usually for profit. 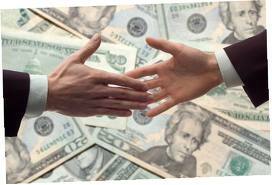 In most forms of partnerships, each partner has unlimited liability for the debts incurred by the business. Corporation: Business that has a separate right as a legal personality different from its owners. Corporations can be privately-owned or government-owned; can be for-profit or not-for-profit. Cooperative: Also known as a “co-op” is a limited liability business that can organize for-profit or not-for-profit. A cooperative differs from a for-profit corporation in that it has members, as opposed to shareholders, who share decision-making authority. Who can own a Business? Individuals, groups of individuals, Governments, Communities etc. What are the reasons for starting your business? Freedom – To be able to do your desires. To right a wrong in the society or to fill a gap. Control – To be in charge of your own destiny. To pursue your dream or passion. To create self-employment income after losing your job. To create a second source of income. To diversify a risk of losing your job or to avoid losing your job. To create a family business and protect a future for your children. To become a stay at home mom and still earn extra income. To develop a business as an investment you can sell one day. To develop a retirement asset etc, etc. What are the Benefits of running your own Business? Vision – You want to leave your mark on the world and change something. Running your own business helps you to achieve this. Choice – There are no policies that dictate what you can do. The choice is now yours. Your business reflects your personal taste and style. Ambition – Your ambition is only limited by your ability to grow your business. You can grow big or decide to stay small. Safety net – There are lots of insurance products out there that can provide you with a financial safety net. Long term sickness or your sudden death need not mean poverty for your family. Work at home – It’s likely you’ll start a new business from home. That means you can get up at a time that suits you. You choose your team – As you’re the boss, you get to hire the people you want and not be stuck with who the boss hires to work with you. Long holidays – Providing you can organise your business to allow it, you can take as much time off as you want, whenever you want. Flexible – You can adapt quickly to new opportunity. You no longer have to feed ideas up the line for other’s to make the decision. Personality traits & skills – be ready with the right mindset, have great personal traits – talents, character, attitude, passion & energy, dedication, hard work, integrity, drive & persistence, values & believe, optimism, resilience, ability to work under pressure & uncertainty, ability to think on your feet, self-belief, willingness to take responsibility etc, etc. Interpersonal Skills – Management, Leadership, Communication & listening, Negotiation & persuasion, Ethics, People Management & HR, Continuous Professional Development – willingness to constantly invest in yourself in order to stay current etc, etc. Business skills – Skills of your trade, Planning, Sales and Customer Relationships, Marketing Skills, Finance and Accounting Skills, Organizing, Inventory, Create your unique selling point, Stay on top of technology, Project a professional positive image, Be accessible, Design a successful workspace , Research & Development etc, etc. These are only but a few but they get you started on the right part and you learn as you carry on. ways of doing things are keys to help you grow. There are no in between places, no middle ground. You must always be innovating and improving. Whether it is in your product or service that is delivered to your customer, or whether it is in how you do business, it is vital. When you stop innovating, you start dying, it’s that simple. What are the statistics on failure rates in Business? Statistics suggest that most business in America will fail in their first 2 years of existence. According to the SBA, about two-thirds, or 66% last past the first two years, leaving only a third of businesses that fail within these two years. Extended to four years, the number of surviving businesses decreases to only 44%, meaning that about 56% of businesses fail at the five-year mark. Primarily, businesses have a difficult time making a profit for their first years of business. Almost all businesses experience a loss when first beginning and it is often several years before they can show a profit. New investors may not be willing to deal with these losses, and the business may not have enough capital to weather these first trial years. 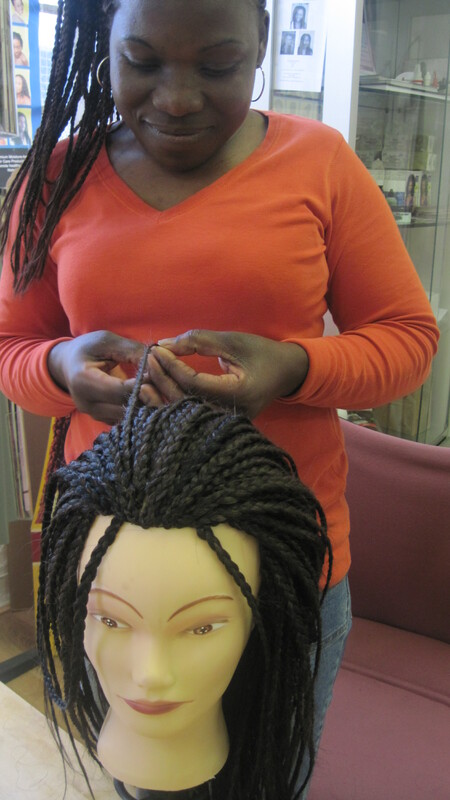 In addition to Skills in Natural Hair, Weaves & Extensions, World of Braiding offers Business Trainings to Micro Businesses in order to help you grow. Contact us if you want to be part of our training. Joy Phido (SRH) is the CEO of World of Braiding & Extensions Ltd. Joy is a Natural Hair Specialist, Designer, Consultant, Educator and Coach. Joy has a BSc. Degree in Business Administration, Qualified Cosmetologist, various other trainings in Legal Secretary, NLP Practitioner, Natural Hair & Extensions, State Registered Hairdresser (SRH). Before going into hair business, Joy has had years of various career experiences with varied organizations including Corporate Nigeria, Lagos city banking career, to Corporate England, London city telecomms career. Joy’s mission is to help career women look good by designing on them Professional Natural Hair & Extensions image as well as help ordinary women succeed in micro businesses with natural hair & extensions training & coaching. 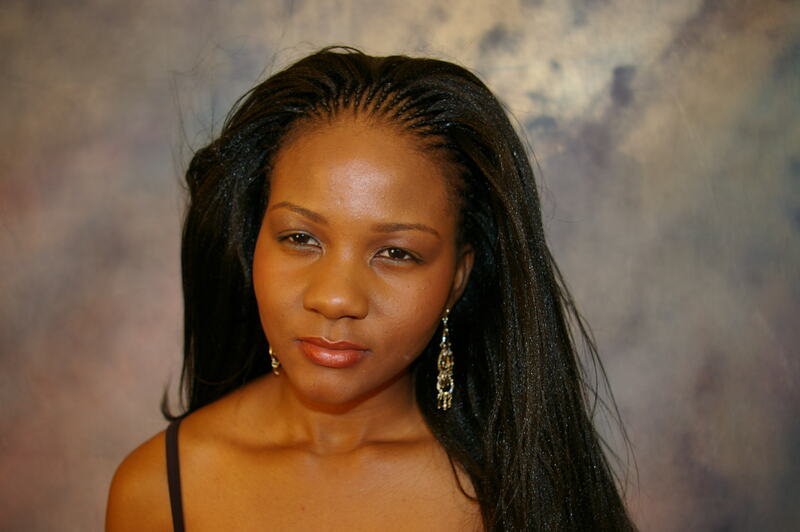 World of Braiding is World’s No 1 PROFESSIONALLY ACCREDITED NATURAL HAIR & EXTENSIONS ACADEMY. What a great opportunity this is to talk and share information about my business. Our services are mainly two folds. We do this through Education, Information and Skills Training in natural hair business. We turn our students into Professional natural hair practitioners across the world. We are the only certified Natural Hair Academy that teaches practical skills, theory and business knowledge to our students in order to get them ready for the real world after our training. We have put years of research, experience and knowledge together in order to achieve this way of teaching. This system of educating our students has proved hugely successful as our students finish the training and set up their businesses. This has been proved over and over and we have series of testimonials and continuous references from our students to confirm this. Another reason this has been very successful is because we never leave our students to struggle on their own. We continuously stay in touch and support them until they become confident. Our VISION for our students has always been PROSPERITY WITH NATURAL HAIRDRESSING BUSINESS. Our Natural Hair Couture Center is the ultimate premier place for natural hair glamour and professionalism. This is our natural hair beauty center where our focus is CHEMICAL-FREE natural hair beauty. Here we encourage, support, consult with and design our clients to feel good and look glamorous with their natural hairstyle choices. This has also been shown in the satisfaction our clients receive as well as the various photo-shoots we do and the images of our work that we present. WHAT INSPIRED ME TO START IN THIS BUSINESS? A) Ignoring and overlooking natural hairstyles. I lost my hair to chemicals. Lots of people have suffered similar fate and do not know where to go for help. This is because Natural hair styling has been ignored and overlooked by mainline hairdressing /cosmetology for centuries yet this way of styling hair is as old as humanity. This is one of the oldest methods of grooming and glamorising hair as has been seen from glamorous women of old – Ancient African Queens – Cleopatra, Queen Nefertiti, Queen Sheba, Queen Amina, Queen Candace to name a few. If these women who looked so beautiful and elegant with their nicely adorned natural hairstyles could wear them so proudly then there is no excuse why these hairstyles should be ignored. World of Braiding aims to bring back this glamour. B) Damaging effects of chemicals. The continues use of chemicals on our hair just like the pollution in our environment; genetically modified foods etc is causing us a lot of harm and serious health issues. Just like we are thinking green in our environment, organic and free-range foods etc, so also should we be thinking healthy about the chemicals we infuse into our body through hair and skin. Our skin is a living organ and the more chemicals we infuse into it, the more harm we cause ourselves. The lack of hair growth and most of the hair loss experienced among women generally and black women in particular can be traced mostly to the poisonous chemicals we continuously put into our hair to our blood streams. In addition to the hair loss issues, there are also various health conditions we suffer from these chemicals among which there has been several reported incidents of deaths, dizzy fainting spells etc from application of colourings, dyes, relaxers etc on heads. World of Braiding would rather have clients worry about other things in life than problems that are self-induced such as chemicals. C) Lack of professional training centers. For the fact that natural hairstyles have been ignored and overlooked, there exist little or no professional formal training centers and this has led people with the passion to offer crude, primitive and un-regulated services. People lack knowledge on the right products, extensions, equipment, know-how, educational books and materials etc to practice professional natural hair service. World of Braiding is therefore the solutions to these problems. I am very happy to respond to questions regarding our services and thank you for taking the time to understand our business. We are available if you need our services or professional advice to any of the issues raised in this write-up. Do you sometimes wake up and feel there is something missing in your life? Then there is! You are not yet fulfilled and that part of you missing is trying to remind you to do something about realising the missing part. Welcome to join the billions of people (world population now7billion) who simply walk the surface of the earth without a purpose. Most of us simply exist; we do not design our lives. There is some good news in our sudden realisation. We unlike the other billions at least have realised there is something missing. This shows there is hope for us as we have gone one step ahead of others who may never know there is a part of them missing. Realisation is one of the first steps to do something about our situation. This is where I found myself in the past months. Going through series of soul searching, while attending to a variety of women in my line of business. I have questioned and wondered why things happen in particular ways with some of us and not with others. I have taken it upon myself to search for answers and this has been a long journey of searching and researching. I have taken on as much as I can to contribute to as many lives as I can. Some of the ideas I found may be useful to someone out there as when I found them, I realised I could not just keep them to myself alone but to share to as many people that are willing to use it. These are my personal compilation of discovery from a variety of trials and errors, working with clients, NLP books, Personal Development CDs, Videos, mental development books etc. DEVELOP YOUR PERSONAL BRAND /IDENTITY, CONTROL AND PROTECT IT. Know who you are and what makes you a person. You are unique and there can never be another you. Take time to find out who this person called YOU is. What makes you feel good, content, happy, excited and sad? What do you bring on the table in every relationship? What would you like to do? Write down all your dreams, wishes, hopes etc. Once you discover who you are, start by taking control of your brand and protect it. This is important as when you lose control, someone else will take control. Whatever you do, avoid handing over control of your life to someone else. It leads to nothing but heartache and pains. When we forget who we are, we start getting a feeling of emptiness, and a part of us missing. 2. SEARCH AND RESEARCH WHAT YOU WANT. Now you know who you are and what you want. Start by searching for information and knowledge. It is believed that every child is born with a blank slate of mind (Tabula rasa). According to Wikipedia, Tabula rasa is the epistemological theory that individuals are born without built-in mental content and that their knowledge comes from experience and perception. If we are to agree with this, then we have to work on making ourselves a better person. How can we become good at what we want? How would we gain knowledge in our chosen field? It is the process of searches and re-searches that will guide us to know what we want. Do not allow any one person to feed you with loads of hocus pocus. You have to search from a variety of sources and never stop seeking knowledge. The Bible has it very clearly – seek and you shall find. 3. GET TRAINING, EDUCATION, INFORMATION. You have found out a lot of things from your research. Do something about it. Information is the key to knowledge. Take up training and education to get yourself ready and to be good in what you want. “It is easy when you know how”. If you don’t train, you will never know how it is done and you will probably struggle for years to find a solution to a problem that could have taken a day or a few weeks because you refused to take up training. Your training /education is your investment into your dreams. Other ways of getting information is to read, read, read. Read up on other people’s experiences, successes, failures etc. There are books on every experience in life. Develop a habit of reading to prepare your mind for success. While food nourishes the body, books nourish the mind with ideas. Ideas are what we want in order to grow. Ideas are what differentiate us from animals. Ideas are what keep us thinking and we are what we think. Give your mind the wrong idea and you turn out with wrong reality. 4. PRACTICE THE KNOWLEDGE AND TRAINING YOU HAVE GAINED. Practice the skills, knowledge and information you have gained from your training. Apply it constantly. Repeat it over and over again. It will feel awkward at first. This is normal. Remember every expert was once a beginner. This is your route to gaining experience and no one sells experience. You have to practice, repeat, fail and continue to repeat to become perfect. Imperfect practice brings perfection. Repetition is the mother of perfection. Remember for every new role you take on in life, you are a baby in that role. You must remember your baby steps in crawling, standing and falling to become an adult. This applies to everything. There will be challenges, obstacles, difficulties, hurdles etc. Your willingness and determination to carry on is what will help you achieve success. Never give up – follow your dreams wherever it is or with whatever it takes. Remember, the only way to fail in life is to give up. Watch what goes into your body as food. In order for us to achieve our dreams, we have to be physically and mentally healthy. We are responsible for what goes into our body and mind. As mentioned earlier, take absolute control of what you expose yourself to. In order for our life to progress forward, we have to be in good health and we cannot be in good health if we are not watching our food intake, exercise, relaxation etc. Only a healthy body, mind and soul can think, plan and act to achieve success. 6. MAKE PLANS / GOALS – IMMEDIATE AND LONG TERM. Now you have perfected your dreams, skills, education etc. Write down clear goals of what you want to achieve in an order of preference. Be very clear and specific. Break them down into immediate goals and long term goals. A clearly written planned out goals leads to achievement. Take lessons from whenever you plan something and how you end up achieving it – a wedding, a birthday party, a naming ceremony etc. The same way you organised and planned out how you were going to achieve those plans should also be the same way you write out your LIFE PLANS. Work with yourself and write this out clearly. It takes away the guesswork from life. This is where life then throws things at us and we start becoming frustrated and feeling lost. This is where experts teach us to DESIGN OUR LIVES instead of LEAVING IT TO CHANCE. 7. TAKE MASSIVE ACTION TOWARDS ACHIEVING YOUR GOALS. This is one of our biggest roles in life. This is one of the biggest laws of nature. You shall only reap what you sew. Turn this saying around and look at your life again. Whatever you are today is a direct result of what you have sewn. If you want to reap more, you sew more. Lots of us today want to reap where we did not sew. We also want overnight success where we will do nothing and get amazing results. There is a difference between cheating to achieve overnight riches and growing sustainable wealth. Overnight riches achieved through cheating disappear within a short time and leads to frustration and depression while sustainable wealth grown from continuous sewing of knowledge, skills and ideas remains and prospers. Examples such as Oprah Winfrey, Bill Gates, Richard Branson etc comes to mind. 8. BE PREPARED TO ENCOUNTER CHALLENGES AND OBSTACLES. Obstacles and challenges are a necessary part of life. These are the things that prepare you for a more difficult life ahead. These challenges test your resolve, resilience, capability, strength etc for a more fulfilling life. There are lots of saying that demonstrate this “no pain, no gain”; “to whom much is given, much is expected”; “when the going gets tough, only the tough gets going” etc. Life is definitely not meant to be trouble-free. Successful people are people who have learnt to overcome obstacles. Lots of people think successful people are a different breed who never encounters problems. This is wrong and the sooner we learn that we all have our fair share of issues and obstacles to deal with, the sooner we will stay strong and face our problems head-on. For every opportunity we meet, there will be countless obstacles to overcome in order to succeed. Success is therefore our ability to overcome obstacles. No matter what situation you find yourself in, never lose sight of your goal. This is another area where lots of us are getting confused. We allow our present situation to distract us from the major goals we have set for ourselves. Remember – what you think about, you bring about. Our mind is an amazing machine and will only work on the instructions we give. If you constantly worry about your personal circumstance, instead of looking at ways to move forward, your situation remains the same if not worse. Things will only happen when you snap out of what is going on and think way ahead of yourself – “those who think ahead stay ahead”. Let go of what is going on and focus on what you want to achieve and how to achieve it. This is what the actions you take will bring about. And this is what will bring you out of your present circumstance. Time is one of the most precious gifts we have from nature. We do not pay for it and we all have the same amount of hours each day. My question is, how do successful people achieve so much with the same 24 hours and unsuccessful people remember to claim they have not got enough time to do what they have set out to do. Check your day, get a diary, write out what you want to achieve in a day and follow your plans religiously. Do this for 90 days and check your results. You will find that you can create time. Value your time and use it positively. Avoid wasting your time on things that will not bring any positive results in your life. Once time is lost, it can never be retrieved. We each have an allocated time to be on this earth. We have no control over this part of our life. Make the best of each day. 11. DEVELOP A GOOD MENTAL ATTITUDE. The world responds to you. We need people to perform our daily chores. What we give out is what we get back. Make life interesting. Introduce what I call the PEEL philosophy. (PASSION, ENERGY, EXCITEMENT, LOVE). Lots of people who succeed attract people to themselves. How do you fit into a crowd? Are you known as the boring, chip on shoulders, negative aura personality that everyone wants to avoid or the bubbly, full of life, exciting person who is going to brighten a person’s day no matter what they started their day with. Bring love, passion, excitement and energy into your day and watch people flock to you for help. Be prepared to help people you meet on your way at all time. Ask yourself how you can contribute positively to your community. The more you contribute to making other people’s lives better, the more the universe will pay you back in the form of reward. Help make life exciting and a good experience for the next person you meet. Make your natural gifting edify others you meet in your life and you will discover you would have achieved your life’s purpose and no longer feel the vacuum in your life. My personal purpose is to share my knowledge with you in order to bring you success. For comments, advise, information etc on this article, please feel free to email me. Subscribe to our blog to get updated with our latest information. a. Find out your strengths and weaknesses. Grow your strengths and work on your weaknesses. b. Take care of your health. There is a saying –“Health is wealth”. Without health, nothing you own means anything – you simply do not exist. To look after your health, be careful what you put into your body – foods, drinks, medications, exercises etc. c. Appearance. Image is everything. People judge you on what they see. They world judge a book by its cover. Do not give people the opportunity to judge you before they know you. Let them see you the way you want to be seen. d. Be open to learn and willing to share. This is called give and take. Learn from other people’s mistakes and experiences. This gives you a short cut to success and takes away years of struggling. Learning is continuous as you are never too old to learn. Learning is not academic education. You gain education in schools, colleges and universities. Education gives you standard life but learning gives you sixth sense, street sense, life sense and this is what gives you the secret to success in life. Your refusal to learn will stop you from achieving success. e. Networking. Learn to interact with others in order to share knowledge. Remember we sell /do business with people and the more people you know the more people you can sell to. You get back what you give to the world. What happens to you is a reflection of what you have given to people around you. Be kind to people as people respond to kindness. When you reach out to people, remember the attitude you give people is what they will give back to you. “Do to others what you want them to do to you.” Do unto others what you want others to do unto you. a. Attend formal training to be qualified to practice your skill. b. Read books on your industry, subject areas, and successful people in your industry and life topics generally. c. Attend events, shows, fairs, seminars etc to keep your knowledge up to date. d. After your training, you have to practice what you learnt continuously. Learn to come out of your comfort zone. Do whatever it takes to achieve your dream. Nothing can be achieved without discipline. Discipline helps you stay up all night and wake you up first thing in the morning to pursue a dream. There is a saying “No pain no gain”. Nothing can be better said about discipline. It takes you to places you don’t want to go if given the choice. It is that freedom of choice to take on what is best for you as against what you need. Discipline is the actions we take to achieve a dream no matter the inconvenience we undertake on the way to achieving it. Discipline is the painful, uncomfortable encounters you experience on your way to achieving a dream. How desperate do you feel about your dream and how far would you go to achieve that dream? Persistence and perseverance are the continuous action you take to achieve your dream. Your practice, your tenacity and your refusal to give up helps you achieve the dream. Do you have love for what you are offering the world? Are you in it because you have something unique to offer or because everyone else is doing it? Are you doing this because you will make quick money or you genuinely want to offer the world something special and you do not care about the obstacles and hurdles you will encounter on the way to achieving your purpose. How much value are you willing to share with other people? What difference will your passion add to other people’s life? Is there a problem in the community that you think your passions can solve? Follow that dream and be a solution to the problem. When you are not sure about what you are doing, ask others for help. Lots of people spend time and years groping in the dark. This is where you need a mentor who can guide you on the right track. The Bible says “Ask and you shall receive”. Create time to find solutions to your problems. Rich and poor people share same time in the world. It is what you do with the time you have that makes the difference to your day and your life. Be flexible about everything you do. When things don’t happen the way you want, learn to change it and do it differently. It is not a perfect world. There are times when it will not happen the way you want it. Sit back, reflect, take stock and try it differently. Do not be afraid to take a risk, adventure or a challenge. If it works, congratulate yourself; if it fails, learn from your mistake and move on. . This was a speech given at the International Black Hairitage Month in Paris on 8th October 2011. 80% of the world population are people of colour – Africa, Asia, Latin America and the Caribbean and yet the textbook and scientific understanding of hair – its structure and function comes from research that has been done on Caucasian people. Population – USA Black Americans 38,929,319 as at 2010, in the UK 1,148,738 as at 2001, in Africa 1,022,234,000 as at 2010 etc etc. Revenue – UK in 2004, the Black Hair industry was worth £60million. South Africa in 2002 it was $90million, USA in 2008 it was $14.7billion By 2013 it will be worth $4.2trillion in the USA. Who owns this industry – Blacks have no control of this industry. They only own about 30% while the World leader in hair care generally and black hair care in particular is Loreal – a French owned company. In 2000, the company invested $11million in the multi-million dollars Loreal Institute for Ethnic Hair and Skin Research. Based in Chicago, this centre is to better understand the distinct properties of the hair and skin of people of African descent – fusing science and beauty to develop a wider range of products to sell to people of Black and mixed race across the world. Why do we need this information? For us to better understand the scale of what we are dealing with. The biggest problem we face within the Black Community is to understand our natural hair and skin. We have refused to take on our role but have given have passed on this role to people of other races. We have to start by taking stock and asking the most basic questions like - What is natural black /Afro Hair? How can you care for it and maintain it? How does it grow? What causes damage? What are the best products for it? What are the best tools that work with it? How do we style it? etc etc. Black hair is different from all other races in shape and composition. It is vulnerable, fragile and requires extra care. It is naturally dry and requires extra moisture. are uncountable according to statistics. Currently there are no schools teaching Virgin Black Hair. afterall our great great grand mothers worked with it – Madam C J Walker. Afro Hair and how to work with it without altering its natural state. everyday life. We encourage you to understand your hair before you do anything to it. No one should undertake working with anything without understanding what it is and how it works. This also applies to hair. As a hairdresser, you attend a college and get training to do your job. This rule should also apply to Virgin Black hair. Our hair stylist should take up trainings on natural hair before allowed to touch our hair. This is what is causing the amount of untold damage in the Black hair community as everyone pretends to be an expert in Black hair yet giving the most unbelievable fraudulent advice. With training, you will save a lot of hair damage which is forcing Black people to buy products that do not add value to our hair but continue to drain our pockets and leaving us continuously poor while other communities get richer on our money. Time we stop being used as money making machines for manufacturers of damaging products for Black hair. What products are you putting into your hair? Experience and lots of research is currently showing that the biggest problem the Black hair faces is the use of the right products. Reading the labels of shampoos, conditioners etc show that products targeted at black hair contains damaging chemical substances that further dry out the already naturally dry black hair. Knowing the right product that works well with our hair type will save a lot of hair damage which is forcing us to buy more products that continue to fill our bathroom shelves but do not add value to our lives. What hair styles are you wearing? Are the styles you work with healthy for your hair? Wearing your hair styles like braids, weaves, extensions etc on a base of natural black hair is very useful as your hair is protected and there are no pressures on your natural hair. This is where hair stylist need training again as presently, they are telling their clients to first apply chemicals on their natural hair before these styles can be worn. This is wrong information and it is based on ignorance. When braids, weaves and extensions are applied on an already chemically processed hair, this leads straight to damage as has been experienced in our community even among celebrities who have enough financial resources but because they are dealing with ignorant stylist, they end up with bald hair, patches etc where Naomi Campbell is a well-known example. What hair tools are you using to work with your black hair? Do these tools work with your hair? What combs, clips, brushes etc do you work with. We need to support and encourage our celebrities who model and show off their natural hairstyles. Teyana Taylor, Jada Pinket Smith, Alycia Keys, Brandy, Solange Knowles are a few to mention. These images need to be glamorised and portrayed in magazines, newspapers etc. These magazines need to do more to encourage black women to love wearing hairstyles that are less damaging to their natural hair. Black hair needs to be beautified and glamorised. What are we using to give us the look we want and need to look the part. Clips, pins, hair combs etc. We need to research more so as to see beauty from our point of view. Nature did not make a mistake with our hair. We have the most versatile, creative and easy to work with hair type. Do not ruin it. Work well with it. If you have been affected by wrong style, bad hair stylist, wrong information / advice, please feel free to contact us with your information. We are happy to advice you on your hair dilemmas. Joy is a Natural Hair and Extensions Specialist, Consultant, Designer and Educator. 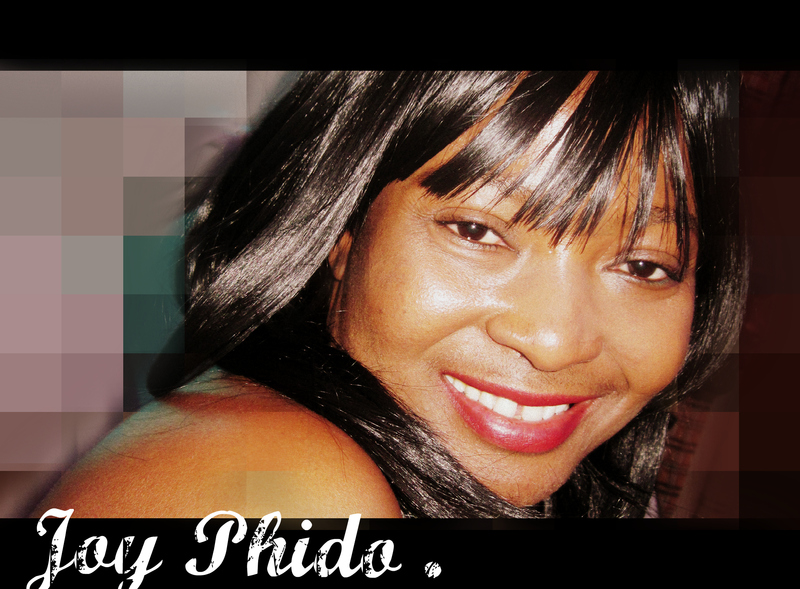 She is a Hair Business Coach, Mentor & Adviser etc. She has been practising Natural Hair and Extensions for over 25 years and has been in Hair Business Education for over 7years. 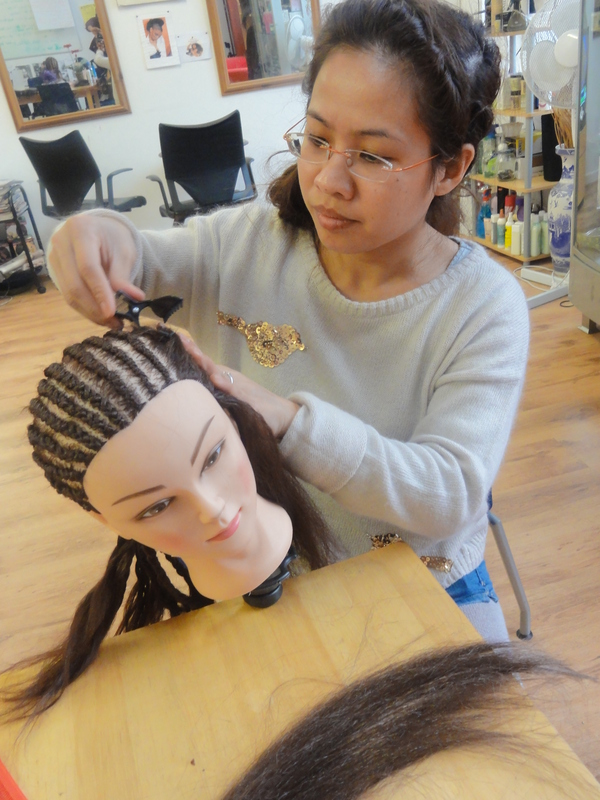 With careers span over various industries, Joy is a well-established business woman, a Professional NVQ Level 3 Hairdresser and a member of the UK Hairdressing Council. Joy has undertaken training in Natural Hair and Extensions from USA, UK & various African Countries. As hair plays a major role in the Black Community, Joy is an advocate and supporter of growing and developing this industry for the benefit and enrichment of the Black Community. She is a firm believer of glamorous healthy natural hairstyles for Black Women as she knows it contributes to self-confidence. She has written and continues to write/ give talks on how to grow the Black hair industry.